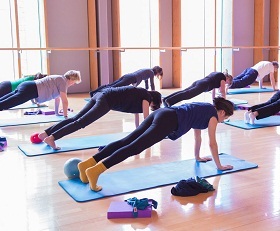 Pilates, which uses gentle, non-impact stretching and strengthening exercises, helps improve core and back strength, flexibility, posture and balance. Pilates can also help release stress and promote relaxation. To enrol, visit your local Idea Store or call the Enrolment Line on 020 7364 5665. These Pilates classes are not specifically devised for rehabilitation. If your tutor feels that the class is not appropriate, they may advise that you cannot participate. Pregnant women are advised to find a course specialising in Pre-natal Pilates. Yoga, which improves flexibility, reduces stress and improves muscle strength and posture, has been shown to lower blood pressure and improve balance. To enrol, visit your local Idea Store or call the Enrolment Line on 020 7364 5665. 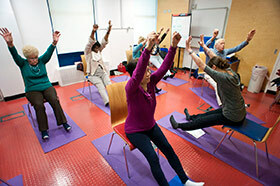 Barbara Currie, one of the UK's leading experts has said "Yoga works 100% of your body. I believe it is one of the best things you can ever do for yourself"